This CD was recorded a week after the ground-breaking duo with Matthew Shipp ( CD LR 755 - Corpo). 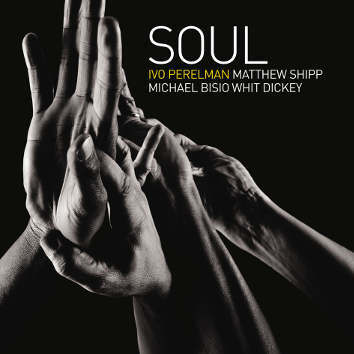 The presence of the bass (Michael Bisio) and drums (Whit Dickey) provide an extra lift to Matthew Shipp and Ivo Perelman. Bisio finds valuable notes in between those that makeup Shipp's chords. Dickey adds colour and texture that peer into the swirl of melodies and light them from within. Ivo added new quality to his technique — mascular yet relaxed; a sort of tai chi of the saxophone.